BASF offers a portfolio of application specific cathode materials to support high energy density, safety, and improved efficiency for lithium-ion batteries. BASF offers advanced cathode materials, innovative plastics, and customized electrolytes for aerospace battery applications. BASF technology for the absorption of radar and microwave radiation. 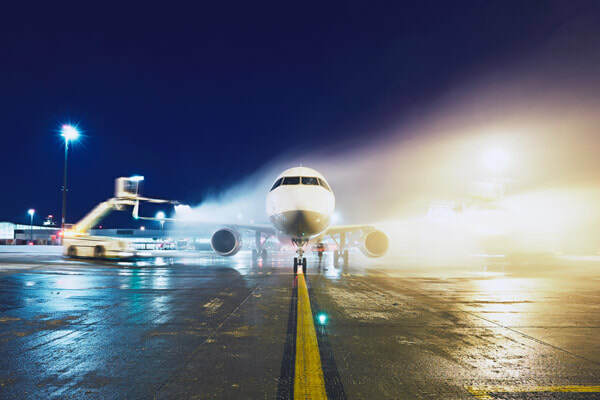 Potassium formate, a salt of formic acid, removes ice from runways, roadways, bridges, parking garages and other commercial structures with minimal corrosion and impact on the ecology. Formate deicers have among the lowest chemical oxygen demand making them the efficient and responsible choice for ice control. BASF's versatile, flexible and predictive CAE tool reduces development time, tooling and parts count/complexity while making mass optimization easy.